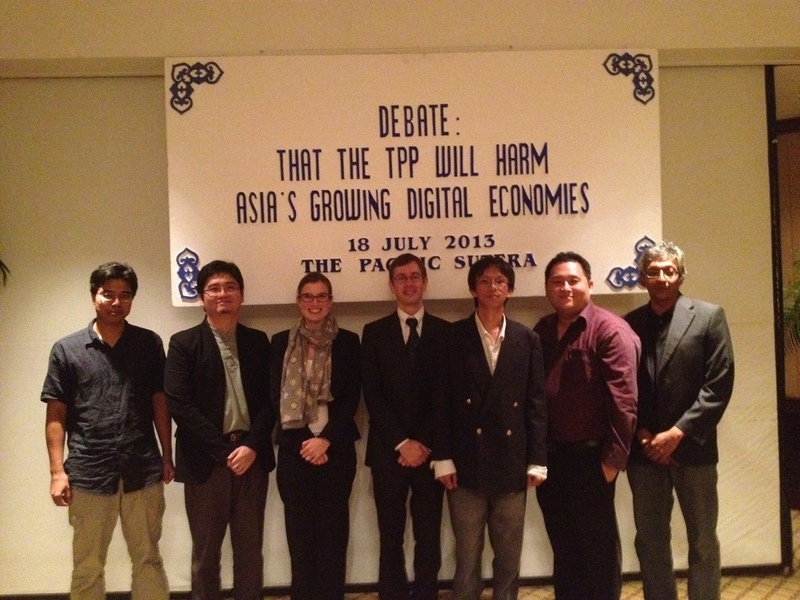 I attended the TPP debate, as a last-minute panelist. I only got to raise two points – that there is no real information available; and that the intellectual property chapter will make life difficult for all of us. The latter was to rebut the point raised by the other side that the IP issues are small as Malaysia’s IP industry is a miniscule portion of our economic pie. Yes, while our IP industry is small, the effects of the restrictive IP requirements will affect every single Malaysian. Our Copyright Act was amended last year, and it included some DRM-like provisions, which would make it unlawful to circumvent any sort of technological protection measures in place. The fines are up to RM500k maximum. If someone owns a DVD player in Malaysia, I will bet that it is a region-free player, even if it comes from a known brand. I know this because I have asked the guys who sell these things at the store. Even if they slap a Region 3 logo on the box, it’s still region-free inside. This makes almost every single one of our DVD players, unlawful. One other point that I did not have the time to elaborate upon, was the issue of parallel imports. I’m not sure if many Malaysians know this but, the price of original DVD/Bluray overseas is cheaper than pirated copies in Malaysia. There is plenty of room for arbitrage in this market. Well, it was a fun experience overall. PS: Our side won the debate, and I got a little pen-holder souvenir as a prize. Yeay!